Wario was taking a long-deserved rest in the Awazon Jungle. While dozing near a waterfall, he noticed several masked creatures carrying treasure into a cave. Wario followed, but stumbled into a deep labyrinth. 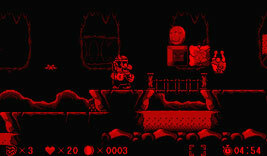 Wario has to travel through each world, collecting the treasure and finding the exit. At the end of each world is a boss who must be defeated. Collect hats to Power-Up. Bull Hats make you strong and heavy, Eagle Hats let you fly, and Water Dragon Hats let you breathe flames. Collect all three hats in a single stage and you get the King Dragon Hat, combining all of the powers. 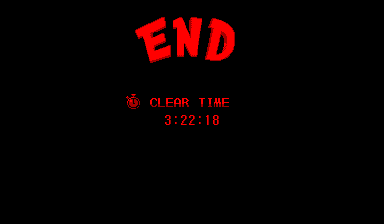 When you complete the game, wait through the staff roll for the "END" screen to appear. Wait on this screen for 1 minute and 15 seconds and a strange song will play. This is Kazumi Totaka's song, a strange tune hidden in (almost) every game the music director has worked on at Nintendo. For all known instances of the song check out the Kazumi Totaka's Song Guide.